Today is Day 5 of the Miss Polly blog tour. I have Griet from Emma en Mona and Kristin from Skirt as Top blogging today. Griet, from Belgium, writes the very popular blog Emma en Mona - named after her twin daughters. 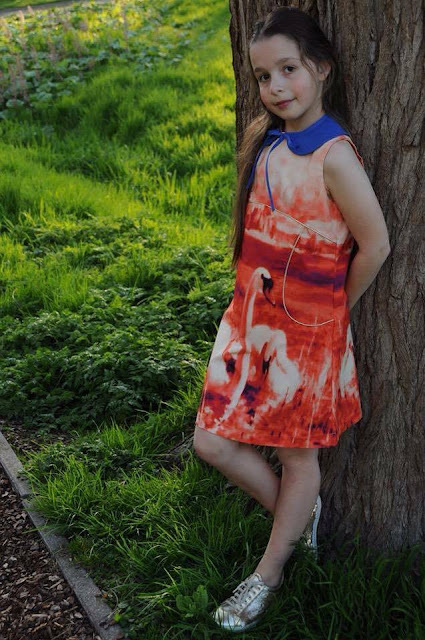 She sews gorgeous clothes for her kids. She uses bold prints and does gorgeous photo shoots. I competed with her in Project Run & Play a few years back where she stole the show! Her Miss Polly is made from a sample of fabric designed by Melkbrigade (do you remember the swan dress and vintage kitten dress I made)...The fabric is gorgeous. She has added a detachable collar. Go to Emma en Mona to see more of this stunning dress. I have followed Kristin's blog, Skirt as Top, for a long time now and I love Kristin's style. Kristin lives in the US and she sews for her three gorgeous kids as well as herself. Her photos are always gorgeous and beautifully composed. Her eldest child, Em is close in size and age to my Isabella. Kristin sews her the loveliest clothes. 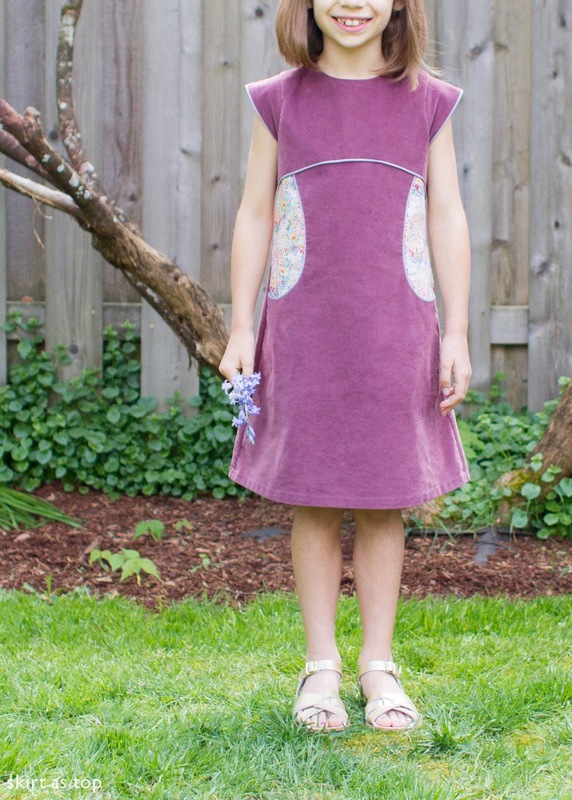 Today she is sharing a corduroy Miss Polly - pinwale corduroy is the perfect fabric for this dress. Head over to skirt as top to see more! Thank you very much Griet and Kristin for taking the time to sew and share your Miss Pollys!